Microwave Dielectric Measurement System (Microwave Dielectrometer) developed by AET, Inc. enables fast and non-destructive measurement of permittivity of thin-films and various dielectric materials. The measurement accuracy is ensured by AET's experiences with designing resonators of high Q-factor as well as the 3D numerical electromagnetic calculation. Currently three measurement methods are provided, and each one has its own feature. Non-destructive measurement is possible with open coaxial resonator. 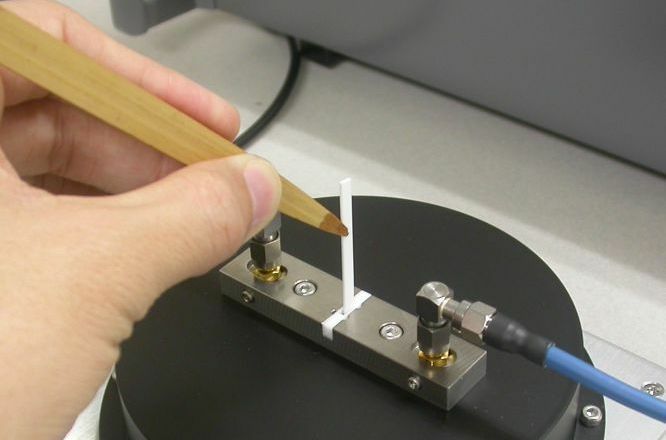 Optimum method for thin films and PCBs. Dedicated method for low loss ceramics.